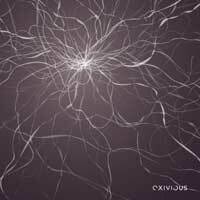 Of course, what we have here is jazz (the opening song, Ripple of a Tear), metal, progressive, fusion and in that sense Exivious is not a pioneer like Cynic was in 1993. No, but Exivious brings you pleasure. These guys know how to play with high dexterity, no doubt about it, but their music is neither pretentious, nor boring. Tymon and the other guitarist Michel Nienhuis (ex-Sengaia) are excellent composers. Robin Zielhorst who plays live with Cynic is also doing great here, and it is nice to follow his bass through Tymon’s production where each instrument shines. Last but not least, Textures’ drummer Stef Broks shows again his wide talent. No revolution indeed, but passion and integrity, and no weakness during these nine chapters, from cool (All That Surrounds 1 & 2 could have come from Gordian Knot or King Crimson) to explosive like An Elusive Need which closes the CD. You can enjoy the whole effort from the first listening then discover a lot in each song.